There has been 10% decrease in mine fatalities in 2018, compared to the previous year. This is according to Mine Health and Safety Statistics released in Pretoria on Friday. The Platinum sector recorded a commendable decrease of 59% in the number of fatalities reported. Regarding occupational injuries, there was 12% increase in the number of injuries, from 2 669 in 2017 to 2 350 last year. Occupational diseases have decreased by 3%, while annual medical reports increased by 8%. Diamond mines reported no medical deaths in 2017. Mineral Resources department says it intends to achieve zero harm in the mining sector. Addressing media in Pretoria during the release of Mine Health and Safety Statistics, Mineral Resources minister Gwede Mantashe has warned that dealing with mine fatalities emotionally may cause chaos in the sector. Mantashe says analysing the statistics will help in finding solution to mine fatalities. Most deaths were recorded in the gold mining sector. “As Amcu we call upon you minister to work with us to amend mine health and safety act. Every mine that kills the worker their CEOs must be put behind bars, simple as that,” says Amcu Joseph Mathunjwa. National Union of Mineworkers’ Mzwakhe Nhlapho says; “It is disturbing that when 81 workers have died it simply translates that there is approximately 405 families, family members that are potentially facing poverty. Thirty-one fatalities were attributed to a fall of ground, followed by transportation incidents. General accidents contributed to the least fatalities at 7. Mineral Resources in partnership with other forums will continue to conduct health and safety workshops. These will show health and safety practitioners how to implement the mines’ Health and Safety Act. 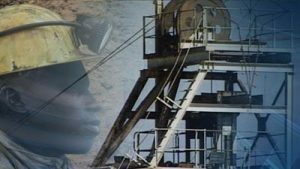 The post Mining fatalities drop by 10% in SA appeared first on SABC News – Breaking news, special reports, world, business, sport coverage of all South African current events. Africa's news leader..